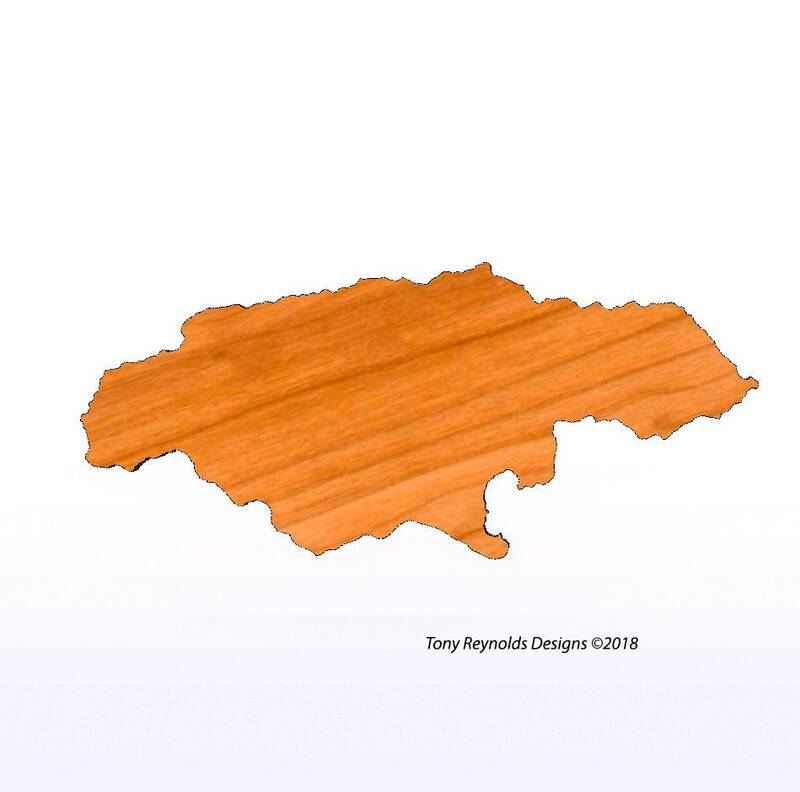 Our Jamaica cutting board makes a great item for personalized gifts for Wedding gifts, Christmas gifts, Birthdays, Housewarming gifts, Hostess gifts, or just about any other gift giving occasion. The perfect gift for the foodie on your list! Our Jamaica cutting board is handmade, heirloom quality and made from beautiful solid Cherry hardwood. It measures approximately 16″ by 8″ and is 3/4″ thick. The finish is 100% FDA approved as food safe. To order select the options you wish from the drop down lists. Proceed to checkout. If you selected to have it engraved leave us that info in the “Notes from Buyer” section.